We Design, Build and Deliver Top Ranking PHP Websites. Process we follow to build PHP web Application development. IQlance maintains transparency in its project planning and execution with clients so that we can deliver the project matching their initial requirements. 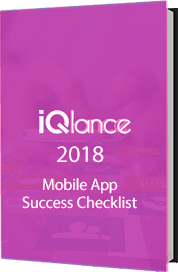 IQlance follows the rules of SDLC (Software development life cyle) for project development and execution..
Requirement analysis is the foundation of every PHP development team and our team is expert in gathering information requirements in depth. Designer Phase deals with the team of creative designers trying to give a structure to your ideas in virtual reality as per your business requirements. In Coding Phase, PHP Web development team applies functionality to run your bunch of ideas into a real fully equipped website. Testing and QA team approves it and deploys it on client site.